Fool’s Gold: Audiobook Version and Freebie! The audiobook version of Fool’s Gold, narrated by the charming and talented Gary Furlong, is now available on Audible.com! And as part of the celebration, from now until 9/10/17, you can grab a FREE digital copy of the award-winning Fool’s Gold to go with it! This is a story very dear to my heart–a love letter to my horses and the sport of eventing. Not to mention, I loved tearing Jake and Rich’s lives apart, only to force them back together to see if they could work things out! So be my guest, snag yourself a free copy and check out the smooth-as-silk audio treat that is Gary Furlong’s rendition of the story. You’ll be glad you did! Wow! I can’t believe the last time I posted to the website was back in March! Looking back, I can see why. A lot of stuff is going on in my personal life right now–family crises, health issues, work stress… I’ve been keeping my head down low and trying to work on various projects but it’s been slow going. The good news is that very soon I’ll be announcing the release of Fool’s Gold on Audible! This is my first audiobook ever and I am SO excited. I fell in love with Gary Furlong’s voice during the auditions for narrator and I’m sure you will too. With any luck, it will be released in August. 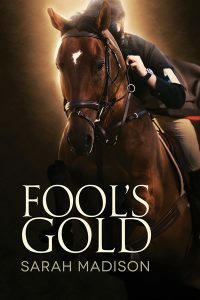 Fool’s Gold was voted best M/M Romance by the 2016 PGR’s Reviewers Choice Awards. The story is a love letter to my own sport, eventing, and I couldn’t be more pleased to share it with you in audio format. Stay tuned for more details on a release date! 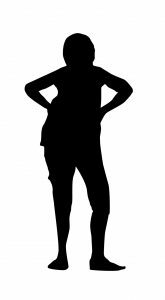 In other good news, I’m working on the final installment of the Sixth Sense series, tentatively titled Deal with the Devil. I had intended to have it finished and submitted to Dreamspinner by March, but all those pesky life trauma things got in the way. It’s going slowly, but I am making forward progress, and hope to have it available for release sometime in 2018. I’ve also been teaching myself to make promotional graphics and how to put together a newsletter. If you want to keep up with the latest from me (and I promise, it probably won’t be more often than once a quarter–no spammy newsletters from me! ), then sign up for my newsletter here. I look forward to being able to share with you an exact release date on the Fool’s Gold audiobook! Until then, I’ll keep writing. Because I was at work, I quickly scanned the email (not noticing a significant typo of a date that gives the company a loophole with regards to making even the minuscule payments offered) and cursed. I immediately pulled my self-published titles from their website, and hurried to my publisher to see what they intended to do, as all of my Dreamspinner titles were posted on ARe as well. 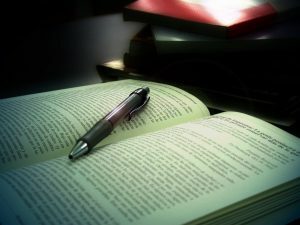 Readers should no longer buy anything from ARe, as authors were not being paid for their works. I’ve pulled all my titles for sale on the All Romance website in advance of their 48 hour notice of closure. The good news is that currently you can get all my Dreamspinner titles on sale at their own website until 12/30–which includes my new release, Holiday House Swap. As for my non-Dreamspinner titles, Fool’s Gold and A Summer Fling are still available on Amazon. Fool’s Gold is back on Kindle Unlimited, and A Summer Fling is permanently free. I hope to place A Summer Fling into KU once I make sure it is not available in any other markets besides Amazon. Dreamspinner made the following announcement on Facebook last evening: In response to All Romance eBooks closure notice: If readers pre-ordered Dreamspinner titles on ARe then you will not be able to download them upon release. If rumors are true, ARe will also not refund pre-orders. Therefore, Dreamspinner offers to fulfill readers’ pre-paid Dreamspinner pre-orders from ARe. You need to forward the ARe receipt to contactATdreamspinnerpressDOTcom and the customer service department will be sure you receive the eBook at no additional cost to you. Thank you. Kudos to Dreamspinner! This is one of the reasons I love working with this press. But the more I thought about it, the angrier I got. Though ARe called themselves a publisher, they provided no cover art, no editing, no formatting. They were a retailer only and their entire catalog was digital. Where did the money go? They were paying us out of a percentage of books already sold. 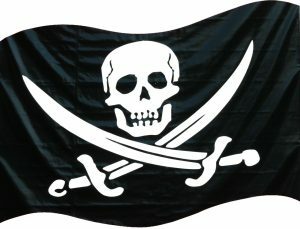 How could they not pay us what was owed? Then too was the shady practice of giving no advance warning of impending closure, of failing to notify anyone until the last day of revenue for the quarter had been wrung out of writers, publishers, and readers alike. Why then, were they offering ad space on their website just the week before–and saying it was almost sold out? You don’t just wake up one morning and decide your business is bust. I almost bought one of those pricey ads and I know other people who have. They aren’t being offered any means to get refunds. Once the news spread, the website kept crashing as writers rushed to remove their titles and reader to download books already purchased before the ‘cloud’ vanished. People were left with ebucks that didn’t work and gift cards they didn’t know if they should spend or not, while the available titles dwindled sharply. I can tell you, some of the author responses to this tone-deaf and out-of-place Tweet were priceless, even as the anger and worry came through loud and clear. I didn’t have a lot of independent sales on ARe at this time–I’d only recently moved Fool’s Gold off KU and over to wider distribution. But to be paid a handful of dollars when I’m owed hundreds is jaw-dropping. However ALL my Dreamspinner titles were on ARe as of last evening. Every story I’ve ever written. So I can only sit back and hold my breath to see what happens when DSP’s lawyers battle for what we’re owed. At least I have the power of an ethical and reputable publishing company behind me. I can only imagine how terrible it must be for authors who were counting on the fourth quarter royalties to make the mortgage payment or electric bill. I’ve seen many readers ask what they can do to help. The first is don’t buy any more books from All Romance. Download the purchases you’ve already made. Seek out those real publishers, like Dreamspinner, who’ve offered via proof of receipt, to honor ARe’s fraudulent sales of pre-ordered books. But most importantly–leave book reviews. I don’t think readers have any idea just how much book reviews matter in visibility and discoverability in an increasingly discouraging and hard market. It doesn’t have to be much–but a short piece as to why you loved the story while you rate it is a big, big help. 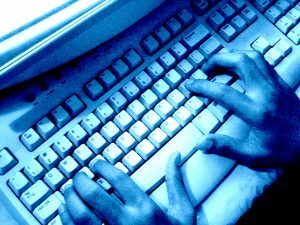 Authors: Even if you decide to take no further legal action, please consider filing an internet crime report, copying and pasting your email from ARe and any pertinent information. 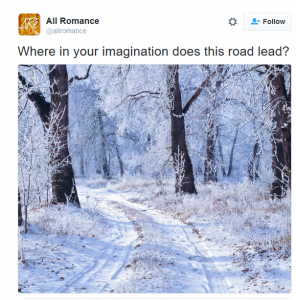 I’ve just received a shocking, no warning notice from All Romance Ebooks that they are closing their doors on 12/31. The terms of settlement they are offering is not acceptable to me, but they are probably the best I will get. While I am sorry that yet another e book retailer is abruptly shutting down, I am also upset by the lack of communication until we were blindsided with this notice. Many of us are relying on our fourth quarter royalty payments, that will now be a fraction of what is due to us. As such, I’ve pulled all my titles for sale on the All Romance website in advance of their 48 hour notice of closure. The good news is that currently you can get all my Dreamspinner titles on sale until 12/30–which includes my new release, Holiday House Swap. As for my non-Dreamspinner titles, Fool’s Gold and A Summer Fling are still available on Amazon. I suspect I will shortly be putting Fool’s Gold back into KU. HL Holston and AJ Burke: New Stories in the Eternal Series! Hey there! Some business before I introduce our guest for today! 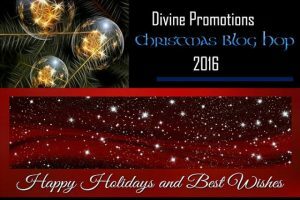 First, if you’re looking for my post in Divine Promotions 2016 Christmas Blog Hop, you should go here. 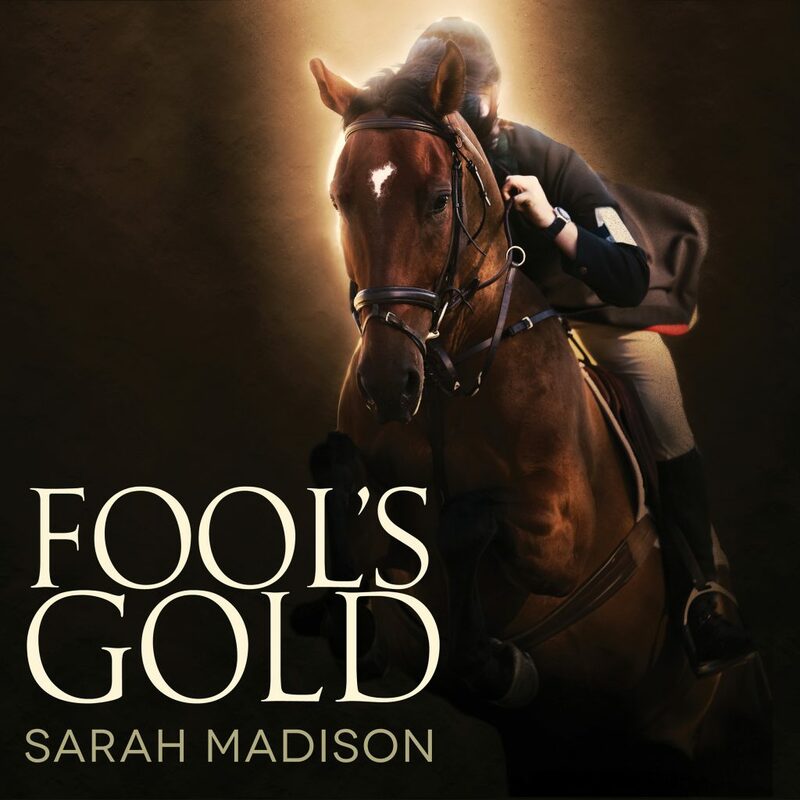 Second, I’m still celebrating the fact that Fool’s Gold was a Runner Up in the 2016 Rainbow Awards: it’s currently on sale for a limited time at Amazon and All Romance Ebooks for only 99 cents–but hurry, the sale won’t last much longer! Third, today’s the last day of the Holiday House Swap Book Tour! There’s still time to check out an excerpt, pre-order the book, and enter the Rafflecopter Giveaway! I just found out that you can pre-order Holiday House Swap for the next 48 hours from Dreamspinner Press for 30% off! Now, please welcome H.L. Holston, who has come to share not only links for new stories, but a lively party game you’re sure to want to try! I grew up in a unique household; one side of the family is Jewish, the other Christian. So, this time of the year, I celebrate pretty much anything. This holiday season, my writing partner, A.J. Burke and I have two Christmas-themed stories out! I’m a history teacher by trade and I’ve always wanted to write a story set during World War One. I finally got to do that with Eternally Timeless (Eternal #1). You can go to Smashwords and download it for free HERE. 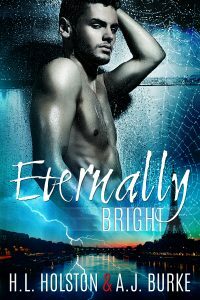 The second story in the series, Eternally Bright, is a contemporary M/M romance set in Paris on Christmas Eve and is available only on Amazon. The two books are intertwined, but can be read as standalones. And while I’m promoting my books, I also wanted to give everyone a new game to play on Christmas. In my family, we call it: The Pan Game. We played it every Christmas Eve before we opened our ‘regular’ presents. First, here’s what you will need for the game. We’d gather in a circle, bring folding chairs if necessary! My mother would set the timer for 15-20 minutes. 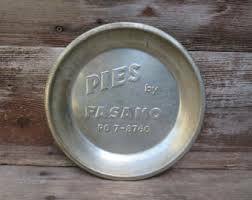 Then, you take the dice and put them in the pie pan. You toss the dice in the pan and if you get doubles, you take a gift from the pile in the middle. You get TWO chances to roll doubles, and then you pass the pan/dice to the person next to you. Being quick is key, as you don’t want the timer to run out and you not have any presents. You continue to do this with every person until all the gifts are gone. Once everyone has a gift and there is no more left in the pile, then the fun begins. You get to steal gifts! Yep, the next time you roll a double, you get to steal a wrapped gift from a family member. This action has caused many a wrestling match in my household over the years. My father is famous for “hiding” gifts about his person, sometimes we had to frisk him to make sure he wasn’t hiding anything! We played this game every year and it bought our family much joy and laughter. If you try it, I hope it becomes a family tradition for yours too. Merry Christmas and Happy Hanukkah to all. Ever since Gabriel Foster started working at Demerchant Industries, he’d been fighting his attraction to his enigmatic boss, Sébastien Demerchant. During a Christmas party at Sébastien’s mansion, Gabriel discovers his feelings might be returned. But everything is not as it appears, and Gabriel’s world will be turned upside down in the process. Periodically, I decide I need to break up with the Internet. It usually comes after a week fraught with huge blowups among my circle: meltdowns and high drama, like the exposure of a catfisher or outrage over someone/something that is Absolutely Wrong. More and more these days, it comes as a result of feeling overwhelmed and anxious about the future of my country and the planet as a whole, especially when we’re constantly bombarded with images and messages that tell us to be afraid, be very afraid. As Internet Addictions go, I don’t think my case is too bad (though isn’t that what all addicts say?). Sure, my boyfriend jokes about how I reach for my cell phone first thing in the morning, but that’s about a morning ritual of checking messages and my Twitter feed that allows me to spend another ten minutes or so in bed before I have to get up. No, really. I don’t have Facebook on my phone. I don’t have a tablet. With the exception of Twitter, I don’t check any of my social media platforms on my phone–that waits until I’m seated at the computer. But I do spend hours every day at the computer, circling social media sites looking for something interesting to read or start a conversation. I get online to ‘catch up’ and ‘unwind’ and the next thing I know, I’ve wasted most of the evening. Would I have been more productive if I’d stayed offline? Hard to say. Probably. But most days I’m so fried when I get home that faffling around on the internet is about all I’m good for. Earlier in the week, I read this post by social media guru, Kristen Lamb. She talks about the fine balance between maintaining a social media presence online and losing five hours of your life to LOL cat videos. She has some good things to say about the way mindless tech use can kill your muse (not to mention your life in general). I read the post, nodding along, knowing I needed to institute some of the same measures mentioned. My friend Shira Anthony calls her tactics “Ninja Facebooking”, which is to log in, share some information, comment on a few posts, and get out again before the time sink effect kicks in. It’s a smart way of handling things, I think. By the way, she’s got a great new release upcoming up that’s available for pre-order now–Take Two from Dreamspinner Press. You should check it out. 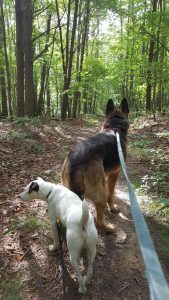 Yesterday, while I was out with the dogs for a short run, I almost walked into a couple coming from the opposite direction. I looked up just in time before my muddy dogs and I plowed into them and I was horribly embarrassed that I hadn’t been paying attention. Why had I been so oblivious? Because I’d opened a game on my phone (ostensibly with the purpose of deleting it, only I started playing it instead) and I wasn’t even aware of their approach until it had almost become a social disaster. Lately, I’ve been noticing just how much time I spend answering emails, sharing posts and tweets, and participating in online conversations… and I seriously believe that I do this far less than the average person. I’ve been noticing how much of the evening is devoted to sitting on the couch beside the boyfriend while we both tickety-tap away on our devices–me on Facebook or Live Journal, and him on Reddit or playing games. 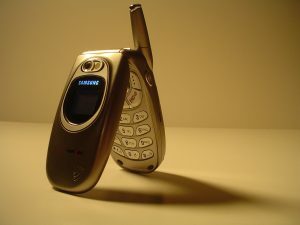 Just the other day, I met a man with a toddler who had very little verbal skills, but he was a demon on the smartphone. His little fingers flew over the screen, scrolling through images until he found the video he wanted to watch. The kid probably knew how to work his father’s smartphone better than I know how to use mine. Is this a good thing or a bad thing? I don’t know. Perhaps it is a matter of trading one skill set for another, exchanging one form of learning for a new one. However, I can’t help but wonder about the scores of young adults I know with crippling social anxiety, and whether the willingness of the younger generation to put every aspect of their lives online for public scrutiny has anything to do with that. I met with my critique group this morning, and toward the end of our conversation we began discussing how much online presence writers need today. Where the boundaries are. How much should we share. How much time to spend doing it. That sort of thing. To my surprise, my group members seem to think I’m some social media whiz-bang. We were discussing the success of my latest story, and my friends gave much of the credit to my marketing skills. I had to make the squinty–face at them because I’ve been doing about the same thing as always on the media front–the surprising success of Fool’s Gold was probably due to several factors but I don’t think my ability to ‘work it’ on social media had as much impact on sales as decisions I made on pricing and which platform to offer it in. Yes, I post to Facebook and Twitter regularly, and I share other people’s posts, too. Yes, I post to the blog semi-regularly, but then I *like* writing blog posts. Nothing has changed in that regard since my previous book was released. But I agreed with much of what they had to say. It resonated with many of the things I’d been thinking lately. So I sat down here with the firm resolution to write the Internet a Dear John Letter. I wasn’t going to ‘take a break’ because I found being online overwhelming. I wasn’t shutting off my browser so I could finish a WIP. I was going to make a full-fledged declaration that the Internet was bad for me and I needed to be strong and walk away. To take that time and spend it more wisely. To reconnect with the living things in my life on a daily basis. To live my life before I woke up one day and discovered it was over. And then I read this post by The Bloggess, who put things a little in perspective for me. And I remembered that my online life has allowed me to stay in touch with people I’d never see otherwise. I’ve made friends all over the world. I’ve traveled to meet up with my online friends, too. Hell, I met my boyfriend online, and next month will mark eight years of our being together. We had a blast playing Pokemon Go together at a local street festival a few weeks ago (just wait until he finds out I caught a Pikachu! ), too. Even my critique group, with its bicoastal and international membership, originated out of online communities and we ‘meet’ via Skype. Last weekend, I attended Writer’s Police Academy–an organization I learned about from friends met online–and I met up with fellow authors there. I’ll be posting about my experiences at WPA in the future, but the point is I’m not going to be breaking up with the Internet at all. The Internet and social media aren’t inherently good or bad. They are tools, that’s all. And like any tool, we need to learn how to use them appropriately and with common sense. I wouldn’t carry a hammer to a wedding (it’s not Game of Thrones, peeps! ), nor out horseback riding or to the grocery store. But if I need to fix a fence or replace a board, I’m going to use one. Be smart. Turn off the device from time to time and check out the world around you. Don’t walk into hikers or off cliffs or into bears because you weren’t paying attention. Pay attention. Life is worth it. Fool’s Gold Nominated in the 2016 Indie Book Awards! It’s been two weeks since the launch of Fool’s Gold, and I’m pleased to say the reception has been outstanding! I knew the subject matter might be a bit of a hard sell for anyone except a die-hard horse lover, but to my delight, most of the reviews have been enthusiastic. Sales have been strong, the best I’ve ever had for a new story. I’m sort of gobsmacked by that, to be honest. I wasn’t expecting that! 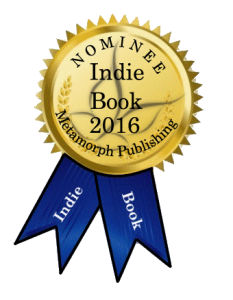 Today I discovered Fool’s Gold has been nominated for the first annual 2016 Indie Book Awards, hosted by Metamorph Publishing. I have no idea who nominated it, but thank you, whoever you are! Fool’s Gold is available on Amazon and Kindle Unlimited.